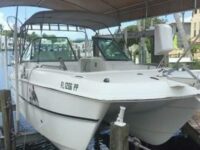 Sell My Boat Fort Myers – Let Us Sell Your Boat! 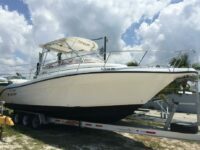 Sell Your Boat Fort Myers: At Sanibel Yacht and Slip, located in Fort Myers near the Sanibel bridge, we not only offer the pleasure of helping you buy a new boat but also selling your boat when the time comes. Our staff provides the knowledge and skills to help you put your boat on the market without making the mistakes often associated with selling a boat. 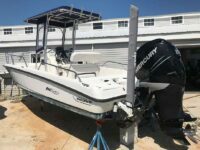 Correctly pricing your boat is critical to getting it sold, and as experienced Fort Myers boat brokers, we have a very keen insight as to what a boat will sell for, and we will price it accordingly. With pricing being the leading error among boat sellers, we take pricing your boat for the market very seriously. Our staff will work with you by analyzing the condition of your boat and by looking at other boats similar to yours on the market, to ensure we price your boat both competitively and attractively. Along with properly pricing your boat, as Yacht and Boat brokers, we will manage the advertising to attract customers and help sell your vessel. We are experienced in selling boats and can help prepare your vessel to look its best. 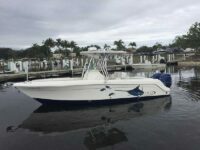 Based on your boat and the type of buyer we believe will be interested in your boat, we will write an enticing description, take pictures, and prepare a listing. If needed, we can recommend ways to improve the look and marketability of your boat. 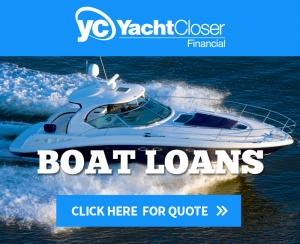 Our staff will also deal with potential clients, and the legal paperwork such as; bills of sale, loan payoffs, corporate ownership, and other documents needed for transferring ownership of your vessel to the new owner. Our mission is to make your selling experience as smooth as possible with minimum stress. Aside from listing and advertising your boat, our primary job is to expedite the process of selling your boat, once a buyer is found. 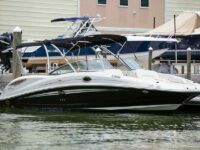 We do the hard part of selling your boat, so you don’t have to! We want you to enjoy what you enjoy most – boating! Once we have sold your boat, we are also happy to help you find a new boat, whether that be new or used. If you’re looking for the best way to sell your boat, look no further than Sanibel Yacht and Slips. Give us a call at 239. 481.8400 or stop by our showroom and tell us about your boat. We look forward to selling with you!